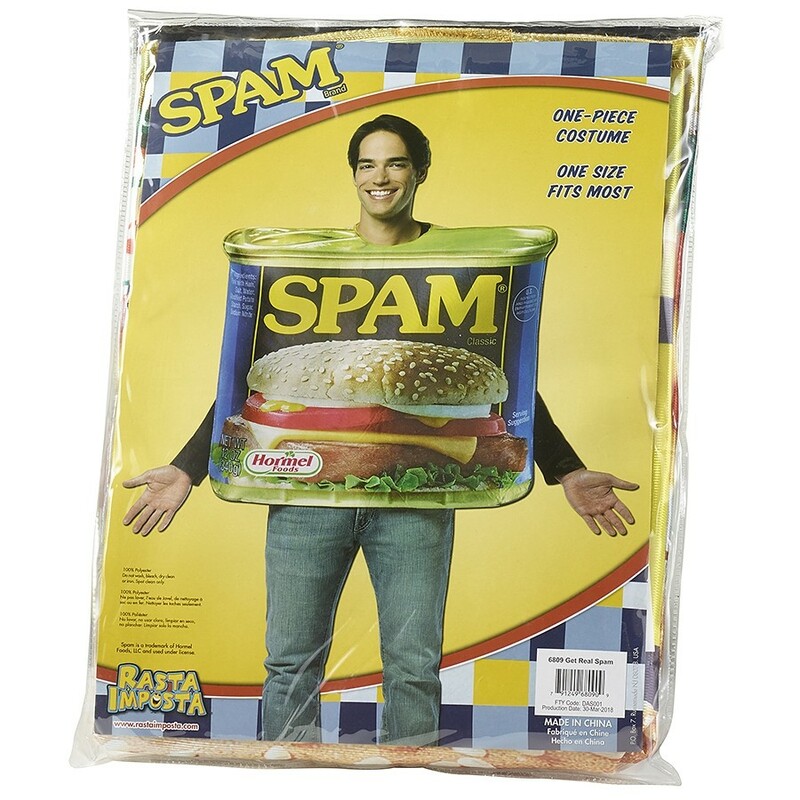 You will be the hit of the party as you become a life size SPAM® Can. Neck and arm hole openings make it an easy fit. 36"x32"x74". One size fits most adults.